This kit has been retired. 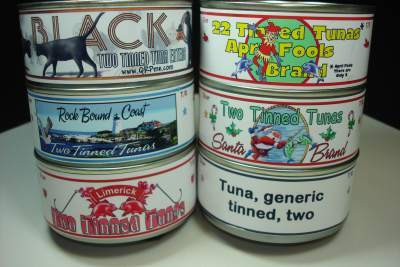 Check out the new EZ Build version of the Two Tinned Tunas! This kit was QRPme's first version of the TT2 transmitter kit sealed in a tuna can. It has been retired and replaced with the multi-band SUPER Tuna, 40m Two Tinned Tunas EZ-Build, and 40m 35th Anniversary version TT2 kits. Here is the original kit description and documentation. The Two Tinned Tunas (TTT) kit is an updated version of the classic TT2 kit designed by W1FB, Doug Demaw. The TT2 transmitter has been kitted by several QRP clubs in the past. This current version is a COMPLETE kit; whereas, the previous versions required additional parts scrounging for connectors, switch etc. This kit comes COMPLETE with all PCB mounted parts: transistors, capacitors, resistors, toroids, magnet wire, crystal, crystal socket and key jack. All chassis mounted parts: RCA jacks, T/R switch and PCB mounting hardware are also included. The kit also contains the solder, hookup wire and sandpaper necessary to complete the construction of the kit. Step by step assembly instructions, with Hi-res pictures are available below. The current label design is shown on the above picture. All holes necessary to mount the connectors, jack and T/R switch are pre-drilled in the can. 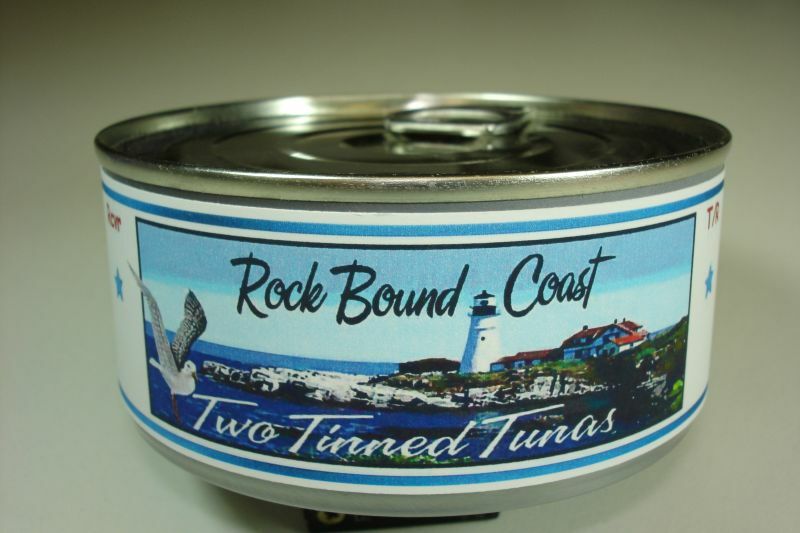 All the parts come sealed inside a factory fresh tuna can with an easy open pull top lid. This kit is an excellent kit for beginners or experts alike and also makes a perfect gift. Can be assembled in one evening by a beginner. A great conversation piece for every QRPers bench!